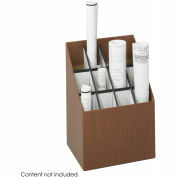 Keep paperwork organized in these attractive filing cabinets. 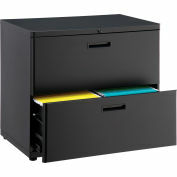 Drawers have full drawer extension for complete access to all documents. File drawers allow left-to-right letter and legal size hang filing and front-to-back filing using file bars. 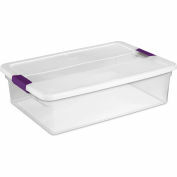 Designed with an anti-tip interlock mechanism to permit only one drawer to be open at a time. 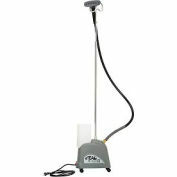 Equipped with adjustable leg levelers for uneven floors. Comes with central lock with keys. Recessed handle prevents accidental snags. 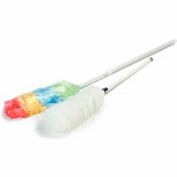 Durable scratch and chip resistant baked enamel finish. 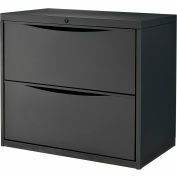 29"H.
Very sturdy file cabinet and I love how secure the lock is. I had other file cabinets that were broken into. This secure lock gives me peace of mind. 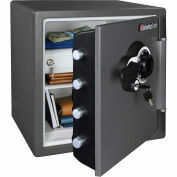 Your review: Very sturdy file cabinet and I love how secure the lock is. I had other file cabinets that were broken into. This secure lock gives me peace of mind. 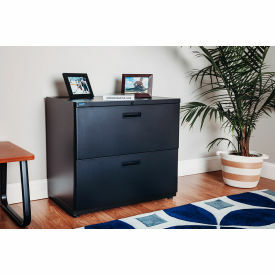 Your review: Good cabinet for the price. if you are on a budget this is a good option. 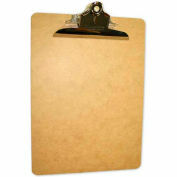 Your review: The file cabinet is great. Your review: I'm giving 5 stars on the cabinet. Although I'm giving NO stars for how long it took for me to receive them. There is no reason why I should have had to wait that long (ordered the end of Sept and received the first of Jan). IF it was something I was in need of quickly, I would have cancelled my order and ordered from another company. IF it were something I were ordering for myself, I would have gone somewhere else.Thumbs down for this one. Your review: Was exactly what I was expecting and am completely happy with this purchase. Your review: Bought this for the users manuals and software storage in my lab. I liked the rounded corners and the color works well. It is nicely made for the money and looks good in the modern environment we have. I am happy with this purchase. There are 9 questions and 3 answers for this product. The area I want to place this only allows for 28" high. This is 29" with levelers. If I did not use the levelers, would it be 28" high? We apologize but shelves are not available for this model. Thank you for your time. what are the dimensions of the inside of drawers? I have large documents that are larger than legal/letter sized, need to know how deep vertically the drawers go. 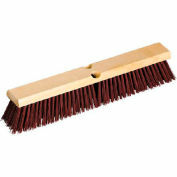 Hello Chris, the interior drawer dimensions are 28"W x 17"D x 13"H. Thank you for your interest in our product. Are the file cabinets shipped in one piece or do they have to be put together? Hello Julie, the file cabinets ship fully assembled. Thank you for your interest in our product.